Note: This event was re-scheduled - please visit www.ticketworld.com.ph for updates. MET Opera in HD "EUGENE ONEGIN"
MET Opera in HD "TURANDOT"
MET Opera in HD "BARBER OF SEVILLE"
MET Opera in HD "IL TROVATORE"
MET Opera in HD "CARMEN"
Onegin was once considered “exotic” by virtue of its Russianness—completed in 1881, it took until 1920 to have its American premiere, when the Met introduced the work in an Italian translation— but today it is recognized as a core repertory work, a counterpart to the ceremonial grandeur and mystery of Mussorgsky’s epic Boris Godunov. Both operas now form the twin pillars of the Russian repertoire regularly produced around the world. Tchaikovsky’s ability to give dimension to his characters through music, says Warner, is extraordinary. “It’s as big and luxurious a subject as talking about character in Shakespeare.” She sees the core of the opera as an exploration of “lost opportunity” resulting from “the fabulous mistakes these young people make.” Warner expresses an intense sympathy for what the characters endure that mirrors Tchaikovsky’s own compassion for the plight of these figures. The match of composer and subject matter in Eugene Onegin has come to seem inevitable. Curiously, though, Tchaikovsky initially balked when a singer friend casually suggested making an opera out of the epic novel-in-verse Alexander Pushkin had published between 1825 and 1832. There were at least two good reasons for his hesitation. Pushkin’s Eugene Onegin had acquired a sacrosanct status that might be compared to that of Goethe’s Faust in Western Europe. To meddle with such an icon was to invite criticism from the start. the loosely strung-together sequence of incidents it recounts. Fortunately for opera lovers, Tchaikovsky overcame his doubts. The chief reason usually cited (and one suggested by the composer himself) is that a real-life episode prompted his change of heart. In the spring of 1877, Antonina Milyukova, one of his former students, sent an epistolary confession of love—an uncanny echo of the central incident of the opera’s first act, the effects of which ripple through the tragic series of misunderstandings between Tatiana and Onegin. It’s hard to tell whether art imitated life or vice versa. The sudden appearance of Antonina’s pleading letters may have sensitized Tchaikovsky to the hidden potential of Pushkin’s work. Or his recent thinking about Onegin may have caused him to resolve not to repeat the hero’s cold rejection of a vulnerable young woman. the personal crisis of his ill-advised marriage, Tchaikovsky in fact benefited from a creative surge around this time, completing the score by early 1878.
to the spectacle of grand opera—in the famous dance music pulsating through the party scenes that serve as structural pillars—Tchaikovsky sculpts an intensely intimate drama of the inner lives of his characters. Artifice and convention are ironically contrasted with the spontaneity of untrammeled feeling. Tellingly, the score’s most admired passages are essentially character monologues. Even the powerful final confrontation between Tatiana and Onegin unfolds as a sequence of solos: this is a tragic love story with no love duets. a production at the Vienna Staatsoper, which prompted the New York Times to rave about her “outpouring of gorgeous sound and heartfelt emotion that few could match today, none so idiomatically.” Netrebko believes she recently reached the right point in her career to take on this signature role of the Russian repertoire, “because my voice has changed. I’m a different person. I look different, and I’m different in my mind. It’s time to say goodbye to the –inas,” she says, referring to the ingénues of the bel canto repertoire. 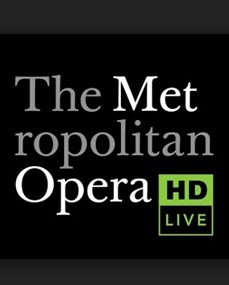 (2) http://metoperafamily.org - You can watched other featured Met Opera in HD movies here. "We've watched them on the silver screens... The Phantom of the Opera, Les Miserables, Grease, Evita, et. al. But they're all movie versions of the said musical plays. This "Met Opera in HD is the actual stage play shot in High Definition or HD. If you've watched the "Love Never Dies" in HBO this week on your TV or DVD... that is what i am taking about." Hope I have time to watched them for I really want to experience that on a theater house.